Everyone knows Brown v. Board of Education is a landmark case, but just how has it affected education and civil rights? Martha Minow explores that question in In Brown's Wake: Legacies of America's Educational Landmark (KF4155 .M56 2010 at Classified Stacks). Minow looks at a number of educational policies and how they affect communities and children: racial segregation and integration; separate schools for boys and girls; access to education for disabled children; education of immigrant children; school choice, charter schools, vouchers. Inside the United States, Brown may turn out to have more influence on racial justice outside the context of schooling, more influence on schooling outside the context of racial integration, and more significance to law outside of both race and schooling. Brown's rejection of "separate but equal" schools spurred the end of segregation in retail stores, theaters, swimming pools, and employment, though often only after a struggle and legislative or litigated reforms. . . .
Brown's influence inside schools but outside of the context of race has profoundly altered the discussions and treatment of gender, disability, language, ethnicity, and national origin, with further changes in the way educational and life opportunities of students are affected by their sexual orientation, religion, economic class, or status as Native Hawai'ians or Native Americans. 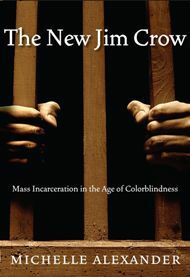 Well beyond schooling, Brown and the efforts surrounding it have created the model for social and legal reforms in the United States -- deploying social science research, and social movement activism -- on behalf of girls and women, persons with disabilities, members of religious minorities, and advocates for economic justice, environmental protection and other issues.
. . . As in the United States, the case and the struggle behind it have served as an evocative reference point for advocates pursuing equal opportunity and social change in Northern Ireland, South Africa, India, and eastern Europe and even for initiatives addressing social hierarchy and exclusion without connection to race or education. The publisher's page is here. "The Green River Killer" killed dozens of women in South King County in the early 1980s. Despite intensive work by the King County Sheriff's Office, no one had been arrested. Until November 2001, when officers announced that they had him. Defending Gary* picks up there, as Mark Prothero, a public defender away from his office, hears the rumor that someone has been arrested. One friend says that there's DNA evidence and speculates that Prothero will get the case, since he's "the DNA guy" in his office (Associated Counsel for the Accused). Prothero became co-lead counsel, along with Tony Savage, a private lawyer whom the family hired. (Once Ridgway's house was sold to pay Savage's retainer, he was indigent and eligible for public defense.) The team eventually included eight lawyers, plus investigators and consultants. With his client's permission to use confidential communications, Prothero tells a compelling story -- not just about a serial killer, but about how the legal team worked on his defense. Prothero was aided in his writing by Carlton Smith, an experienced journalist who had already written best-selling books about the Jon-Benet Ramsay case and even, years before, the Green River Killer case (The Search for the Green River Killer, 1991). And so the book has that page-turning, hard-to-put-down style of the best true crime writing. What we don't have is a great courtroom drama. Why? Because this case never went to trial. The prosecution has such good physical evidence on seven charged murders that the defense thought that the best way to save Ridgway's life would be to plea bargain to avoid the death penalty. And the prosecution had so little evidence on forty-some other murders that solving those crimes with Ridgway's confession would be worth the plea bargain. And so defense and prosecution spent months observing detectives questioning Ridgway -- and the book gives a lot of detail about those interviews using official transcripts. Unlike the diabolically brilliant serial killers you sometimes see in movies, Ridgway was generally muddle-headed and inarticulate, but the detectives eventually got the details they needed to close a lot of cases and bring some closure to the families of the young women Ridgway had killed. The handling of this mammoth case -- by prosecution, defense, and presiding judge -- was so good that the King County Bar Association honored all: Outstanding Lawyer: Prosecution and Defense Teams in the Gary Ridgway Trial, Bar Bull., June 2004; Outstanding Judge: Honorable Richard A. Jones, King County Superior Court, Bar Bull., June 2004. Ridgway was in the news again last week: Auburn skull, bones ID'd as likely Green River victim, Seattle Times, Dec. 23, 2010. The newly discovered victim, Rebecca Marrero, was not among the 48 murders covered by Ridgway's guilty plea. This book is in our Good Reads collection. As should be obvious, "Good Reads" doesn't mean "happy topics." It does mean interesting, compelling books, often on important issues, and this one fits the bill. * Defending Gary: Unraveling the Mind of the Green River Killer, by Mark Prothero with Carlton Smith (2006), HV6533.W2 P76 2006 at Good Reads. The publisher's page for the book includes a free excerpt. You may have heard about Amazon's new patent that will help gift recipients avoid unwanted gifts. If not, see the December 27, 2010 Seattle Times article. Maybe you're curious about reading the patent itself. If so, you can locate the patent online at the United States Patent and Trademark Office's website, which provides full-text patents from 1976 to the present. You can enter keywords like "amazon" and "gift" to retrieve a list of 137 results, but unless you have the patent number, it's not necessarily obvious that "system and method for converting gifts" is the patent you're seeking. Fortunately, other news reports, like Business Week's, have included the patent number-- 7,831,439-- and its November 9, 2010 issue date. You can now go back to the Patent and Trademark Office's site and find this patent by using the number search. The University of Washington's Engineering Library is another good resource for patent researchers. The Engineering Library, an official Patent and Trademark Depository Library, receives patent and trademark research tools from the U.S. Patent and Trademark Office. These resources, meant to be available to the public as well as to the UW community, are listed here. Also available are step-by-step guides to patent and trademark research. Minnesota's Hennepin County is piloting a new alternative to family court: co-parent court. According to the StarTribune, co-parent court requires unmarried parents to take classes for six weeks and then create their own parenting plans. The parents then submit the plan to the judge, who reviews it and makes any necessary adjustments, before issuing it as a court order. The 4th Judicial District serves Hennepin County, Minnesota and is the state's largest trial court. When describing your strengths in your resume, it is all too tempting to fall back on "tried and true" words and phrases. But stop and first check out this brief ABA Journal article about the ten most over-used descriptions in resumes that you should definitely avoid! The D.C. Court of Appeals upheld the convictions of six protesters who were arrested in 2007 for unfurling a 30 foot anti death penalty banner on the steps of the Supreme Court building. In so holding the court stated that the Supreme Court plaza is a "non public forum for First Amendment purposes." Read the BLT's blog on the case here. If this important and powerful book were a car, it would have the bumpersticker that says "IF YOU'RE NOT OUTRAGED, YOU'RE NOT PAYING ATTENTION." In The New Jim Crow: Mass Incarceration in the Age of Colorblindness (2009), Michelle Alexander describes War on Drugs juggernaut that has filled our prisons, mostly with people of color. The statistics are staggering. In the last 30 years, the U.S. prison population went from about 300,000 to more than 2 million. Although President Reagan was the President who declared the War on Drugs (with the concomitant political and media rhetoric about the "scourge of crack"), the greatest increase in incarceration rates was during the Clinton Administration. Is this a racial problem just because African Americans are more involved in drugs? No. Alexander cites study after study indicating that the percentage of people who use illegal drugs is about the same in all racial groups. Since drug users tend to get their drugs from dealers of the same race, there are plenty of white dealers. White teenagers are even a little more likely than black teenagers to deal drugs. Emergency room statistics show more whites than blacks with overdoses. So why are most of the people in prison for drug use black? Alexander exposes the myriad ways the system works against them -- for example, law enforcement stopping people based on race, raiding black neighborhoods, and relying on informants who only know people of their own race; prosecutors exercising their discretion to "load up" charges to get plea bargains; and mandatory minimum sentences and three strikes rules creating incredibly long sentences. The damage lasts well beyond the prison term. Alexander devotes a chapter to all the ways that a felony record (even for possession of a few ounces of marijuana) can constrain a person's life: employment, housing, voting. Alexander was at the law school last spring. In the law school's multimedia gallery, you can find a transcript of her presentation, as well as video and audio recordings. Update (Feb. 13, 2011): See this interview of Michelle Alexander: Rosette Royale, One Nation, Under Lock and Key, Real Change, Feb. 9-15, 2011. Two recent blog posts point out the importance of word choice and punctuation in drafting. A person is guilty of reckless driving who fails to stop, when approaching from any direction, at any school bus which is stopped . . .
A person is guilty of reckless driving who fails to stop when approaching, from any direction, any school bus which is stopped . . . The "Maximum Number" . . . may be increased upon expiration of a 65-Day Notice period (the “Notice Period”) after Fletcher delivers a notice (a “65-Day Notice”) to the Company designating a greater Maximum Number. A 65-Day Notice may be given at any time. The Delaware Chancery Court held that "the plain language of § 6(b) unambiguously indicates that the parties intended that Fletcher could issue one or more 65-Day Notices under the Agreement." The blogger disagrees that it was unambiguous -- but also suggests how the drafters could have avoided the dispute. The moral of these stories? Be really, really careful when drafting. Try to spot potential ambiguities before there's a dispute! Graphics: School bus image from Federal Citizen Information Center. Delaware Court of Chancery logo from the court. We understand that you still have a few days of finals left, but your break WILL get here. If your plans include a road trip, check out audiobooks on CD from the UW Libraries to keep you company on the road. Looking for a way to keep up with what’s going on with your favorite federal agencies? Want to see satellite photos of the blizzard that razed the Metrodome’s roof or see what the White House is up to today? Check out The Feed at NextGov.com, a stream of tweets from federal agencies on Twitter. NextGov.com is part of the National Journal Group Inc. and the Atlantic Media Company. What changes was Congress trying to make in a particular law? Did it consider the specific situation in which your client is interested? What does that phrase in the law really mean? Does that section of the law apply to the actions taken by your client? Compiling a legislative history is a traditional task for new lawyers. A legislative history is a collection of the documents produced by Congress during the enactment of a law. Some legislative histories even include information about prior bills introduced in Congress on the same topic or commentary by outside sources, such as newspaper articles that discuss various provisions. Locating everything can be a daunting task, but fortunately there are some aids for you. A good first step is to take a look at the Gallagher research guide on Federal Legislative History. It outlines the various documents you may wish to locate and how to find them. With a bit of luck, you may be able to locate a compiled legislative history covering your bill - where someone else has already gathered citations to all those Congressional documents for you! Check here in the Gallagher research guide for the possibilities. As just one example of the types of documents one could gather on a particular bill, check out this "brief legislative history" on the Dodd-Frank Wall Street Reform and Consumer Financial Protection Act (Pub. L. 111-203, 124 Stat. 1326 (2010)), prepared by law librarian Rick McKinney. In this law Congress addresses the problems of the "too-big-to-fail" financial institutions. McKinney's history has handy links to the listed documents and provides background for the provisions that made it into the final version that Congress passed. For a more traditional legislative history of this law, one that focuses on the documents produced during its passage through Congress, check out this compiled legislative history edited by law librarian William H. Manz, which is found in the U.S. Federal Legislative History Library of HeinOnline. This week the Law Library of Congress released a new report entitled: "New Zealand: Maori Culture and Intellectual Property Law", which explores the issues that arise from the desire to protect traditional cultural expressions of indigenous people from inappropriate use. "in New Zealand, Māori claims regarding rights to “guardianship” of their cultural knowledge have been expressed in the context of the guarantees in the Treaty of Waitangi. Some recognition of these interests can be seen in amendments to intellectual property laws. However, there remain questions regarding the protection of expressions of culture that are considered in the public domain, and that are used commercially and non-commercially in both the domestic and international settings". The Odegaard Undergraduate Library will be closed Dec. 21-Jan. 2 for fire and safety upgrades. This is important news if you use the OUGL's media collection for DVDs. The staff there will be retrieving items by request on Monday, Dec. 20, but not for the rest of that week. So if you had planned to stock up on free entertainment for the interim period, make your requests before Dec. 21. December 10th is Human Rights Day. This year, Human Rights Day "recognizes the work of human rights defenders worldwide who act to end discrimination." --United Nations. The UN has more information here. A celebration of International Human Rights Day will take place in Gates Hall tomorrow, Dec. 10, from 4 - 6 p.m. More information about the celebration, sponsored by the UW School of Law and the UW Center for Human Rights, is found here. Why December 10th? The United Nations General Assembly adopted the Universal Declaration of Human Rights on this day in 1948. What Laws Did WikiLeaks Break? On December 6th, the Congressional Research Service issued a timely report: Criminal Prohibitions on the Publication of Classified Defense Information. there is ample statutory authority for prosecuting individuals who elicit or disseminate most of the documents at issue, as long as the intent element can be satisfied and potential damage to national security can be demonstrated. It also addresses the extraterritoriality of the Espionage Act and extradition and First Amendment issues. And it briefly reviews Senate bill 4004, introduced on December 2d, the Securing Human Intelligence and Enforcing Lawful Dissemination Act, which proposes to deal with situations like that presented by the WikiLeaks dissemination of State Department cables and correspondence. The initial contents of the LII of India prototype contains 50 databases including legislation (the India Code from 1836, some State legislation, and commentary on legislation), Indian case law (over 300,000 cases in full text from the Supreme Court, most High Courts, and tribunals), treaties (all India treaties to 1975, plus many subsequent bilateral treaties), law reform reports (from the Law Commission), legal scholarship (six law journals to date, with scholarship repositories, books and judicial scholarship still to be developed), cases concerning India in International Courts and Tribunals, and cases concerning India from the pre-1873 English Reports. The LawCite international citator is also integrated into LII of India, showing the subsequent citation histories (in India and overseas) of Indian cases, law journal articles and treaties. I took at look at the National Law Review because a UW student won its writing competition. (See Gareth Lacy, Should Jurors Use the Internet?, Nat'l L. Rev., Dec. 6, 2010 -- congrats, Gareth!). It's not a traditional law review -- that is, a journal published by a law school and crammed to the gills with footnotes. Instead, it's a web-based magazine and collection of articles aimed at consumers as well as the legal community. The National Law Review (NLR) is a unique Web site featuring a monthly legal magazine paired with a user-friendly database dedicated to providing legal consumers with authoritative legal analysis written by lawyers from many of the nation’s premier firms. We compile timely, well-researched articles submitted to us nationwide from law reviews, law journals, law firm newsletters, and bar association and other professional publications and make them accessible to all in an easy-to-use, searchable database. The NLR also publishes a monthly online magazine that features articles with broad-based appeal to the legal community and to legal consumers, as well as content targeted to specific practice areas such as employment law, insurance, intellectual property, and banking. The NLR Web site is free to use and requires no log-in or subscription to search our database or review our magazine. Washington Law Help and its partner sites in other states offer great, practical information about common legal problems, such as child custody, landlord-tenant disputes, employment issues, and government benefits. These sites are aimed at people with low incomes, but much of the information is equally useful to people in any income bracket. Many of the fact sheets are written by attorneys at Columbia Legal Services or the Northwest Justice Project. Others are from credible sources like Legal Voice or the Washington State Office of the Attorney General. Nolo, a publisher of self-help law books, offers many short articles (often excerpts from its books) on its website. Findlaw offers articles on hundreds of topics. Cornell's Legal Information Institute offers Wex, "a community-built law dictionary and encyclopedia." Justia.com also has articles on a wide range of topics. Avvo has a couple of hundred topics. Some of items listed under the topics are answers to questions that consumers have asked and some are more general articles. There is an amazing amount of legal information for consumers on the web. Is it all equally reliable? Of course not, but some of it is very solid. When using any source -- online or print -- ask quesions about it. Who wrote it? Does it seem credible? How current is it? Is it tailored to my jurisdiction? Could the author be leaving out important qualifiers? In the December 2010 issue, the editors of the ABA Journal have announced their list of 100 notable blawgs--and they invite readers to vote for their favorite blawgs. Check out the list and then vote for your own favorites! In 1998, the Subcommittee on Federal Death Cases, part of the Judicial Conference Committee on Defender Services, issued the Spencer Report, the result of a study about the costs of providing defense servics in federal capital crime cases. Based on its findings, the Subcommittee made recommendations designed to contain costs while ensuring high quality defense services. These reommendations were adopted by the Judicial Conference in September 1998. Recently, the issues addressed in the Spencer Report have been revisited and an updated report has been published. Here are a few highlights of trends from 1989 (the year the report sets as the beginning of the modern death penalty era) through the end of 2009, taken from the Executive Summary. The 1994 Federal Death Penalty Act [18 U.S.C. 3591-3598] dramatically increased the number of crimes eligible for capital prosecution. The impact of that act has increased since 1998. The decision to seek the death penalty for a defendant charged in a capital offense (i.e., the "authorization" for capital prosecution for a death-eligible defendant) has become more centralized to the Department of Justice rather than being left to the discretion of the local prosecutor. More authorized cases have gone to trial rather than being settled by a plea agreement. Since 1989, the Attorney General has sought the death penalty against 463 defendants, 262 of whom have stood trial. Of those, 66 have been sentenced to death. The median cost of a case in which the death penalty was authorized was eight times as much as those in which the death penalty was not authorized. The median cost of cases in which the death penalty was authorized and that proceeded to trial was more than twice the median cost of authorized cases settled by plea agreement. The costs of defending death penalty cases has risen substantially since 1998. Immigration Policy in the United States: An Update. Congressional Budget Office, December 2010. This document updates the Congressional Budget Office's February 2006 paper Immigration Policy in the United States. It presents data through 2009 on permanent and temporary admissions of foreign nationals to the United States,the number and types of visas issued, the naturalization of residents, and enforcement of immigration laws—and makes comparisons with 2004, which was the most recent year for which most data were reported in the earlier paper. Protecting Consumer Privacy in an Era of Rapid Change: A Proposed Framework for Businesses and Policymakers. Federal Trade Commission preliminary staff report, December 1, 2010. *see also DOD’s report on Don’t Ask Don’t Tell, and new working papers from the National Commission on the BP Deepwater Horizon Oil Spill. Examples and Explanations, the popular series of study guides, are available online via Google Books. Aspen Publishers has made extensive previews of the titles available for FREE. The full content of each title is not included in the preview, but you will find that a large majority of the pages are available. Thanks: Jamie Sommer, via Bonnie Shucha at WisBlawg. 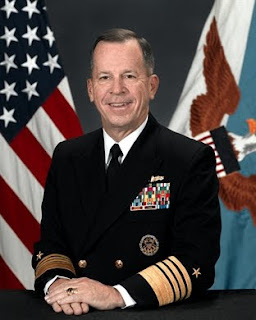 The Department of Defense has a webpage devoted to Don't Ask Don't Tell, with links to the Report of the Comprehensive Review of the Issues Associated with a Repeal of "Don't Ask Don't Tell" (Nov. 30, 2010) as well as press releases, transcripts, and videos of officials' testimony about the issue. If you're interested in this policy, this is a great resource! One of the most recent cases is local: Witt v. United States (W.D. Wash. Sept. 24, 2010) (Leighton, J.). The Stanford site has both the memorandum opinion and the findings of fact and conclusion of law, ordering the Air Force to restore Major Margaret Witt to her position as flight nurse, subject to her meeting the qualifications for service. Many more documents (including pleadings and declarations) are available from the ACLU of Washington. See also Lesbian Flight Nurse Gets Ready To Return To Air Force, KUOW, Dec. 1, 2010. Randy Shilts, Conduct Unbecoming: Gays and Lesbians in the U.S. Military: Vietnam to the Persion Gulf, UB418.G38 S55 1993 at Classified Stacks. Despite the subtitle, this bestseller has some material going back much earlier than Vietnam, including even the Revolutionary War. For dozens of works on the topic -- including books, DVDs, government reports, and websites, see this list. Almost everything in the list is available on campus, either in the Gallagher Law Library or in other libraries; a couple of works are available through Summit. Admiral Mike Mullen, Chairman of the Joint Chiefs of Staff, who testified for repeal on Dec. 2, 2010. Major Margaret Witt from ACLU-WA press release, Air Force Major Dismissed Under “Don’t Ask, Don’t Tell” Looks Ahead to Rejoining the Military, Nov. 30, 2010. On Monday, December 6, the Ninth Circuit will hear oral arguments in Perry v. Schwarzenegger, the federal challenge to California's controversial Proposition 8. Passed by the state's voters in 2008, Proposition 8 amended the California Constitution to provide that only marriage between a man and a woman is "valid or recognized." In August of this year the U.S. District Court for the Northern District of California ruled that the amendment violated the 14th Amendment's guarantees of due process and equal protection, and enjoined its enforcement. You can link to selected documents filed in the appeal here. Some interesting dispatches about the legal battle can also be found at Prop 8 on Trial, a blog authored by two Berkeley law school students who have been monitoring the federal proceedings since their inception. The FBI released its annual Hate Crimes Statistics in November. On the site you can find data about type of offense, categories of victim (African Americans, Hispanics, sexual minorities, etc. ), characteristics of offender, jurisdiction, etc. What you can't tell is whether - maybe they're helping the victims and they're not just recording the data and sending it to the feds. That's the hope, but maybe it's that they're ignoring the victims and not sending the data into the feds, and that would be the worst case scenario. Buying and Selling Closely Held Businesses in Dynamic & Uncertain Times, on December 9, 2010, 8 a.m. to 12:30 p.m. Click here to register or see the brochure for more information. Thursday, December 16, 2010, Washington State Convention Center, Seattle 8:30 a.m. - 5:00 p.m. Click here to register or see the brochure for more information. Registration costs for both CLEs increase tomorrow, December 2, 2010.